A number of Houston households continue to worry how they plan to pay for additional housing expenses, including property taxes, but these families can rest easy.A recent proposal from the Houston City Council plans to keep local property taxes unchanged for the next year, the Houston Chronicle reports. Although this tax is expected to be the same, local legislators are still examining sales taxes and certain fees and fines which may be changed in order to generate additional revenue.The current property tax rate is 63.9 cents per $100 of assessed value of a home. With the rate unchanged, this is expected to generate $884 million in local tax revenue during the next 12 months. ?Since Houston home prices appreciated significantly during the month of August, this tax rate could provide more revenue than expected. Last month, average home prices increased 4 percent to $224,464, according to the Houston Association of Realtors. This marked the 15th consecutive month of annual gains.Local residents hoping to make the transition to homeownership should make the move sooner rather than later. 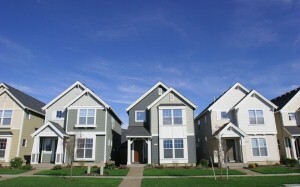 As the housing market enters the latter half of 2012, a slowdown in activity may take place. Real Estate News brought to you by 2M Realty, a true expert in the online real estate market.